Veteran's Park is the perfect place for family fun; with large picnic areas and gardens, including the Richfield Art Center, there's plenty to do for groups of any size! Valid photo ID required for every rental. Our Single Surrey is hugely fun! 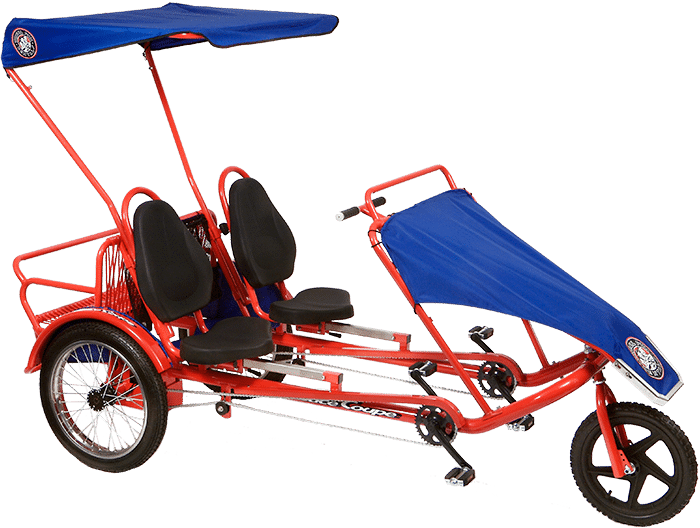 As the smallest of our flagship cycles, this modern day carriage is perfect for some one-on-one time with your significant other, or a fun outing with small children! 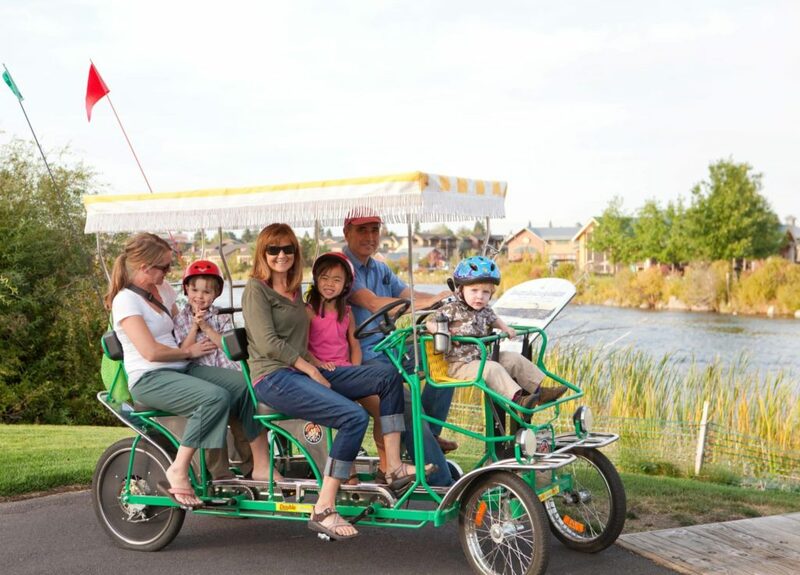 millions and millions of people have enjoyed our 4-wheeled cycles for over twenty years. Our four wheel Surreys create a memory that will last a lifetime. Listed price does not include sales tax. Don't overlook the middle sibling of our signature cycles! It's Wheel Fun for the whole family. 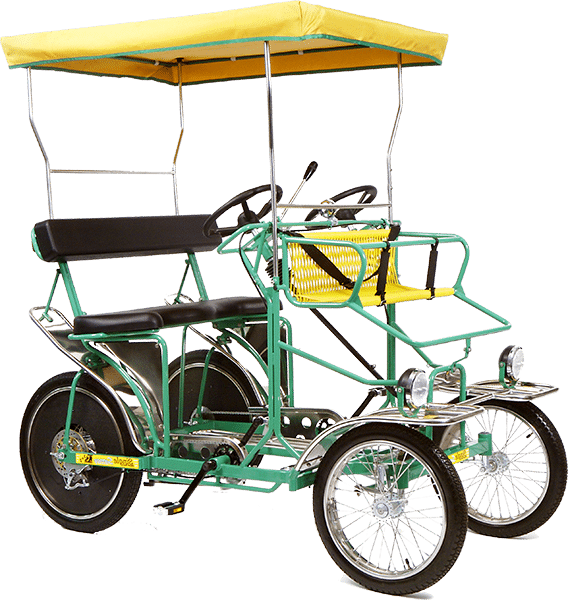 We have offered our 4-wheeled cycles for over twenty years. Up to six adults and two children under 6 years of age up front expands the possibilities. 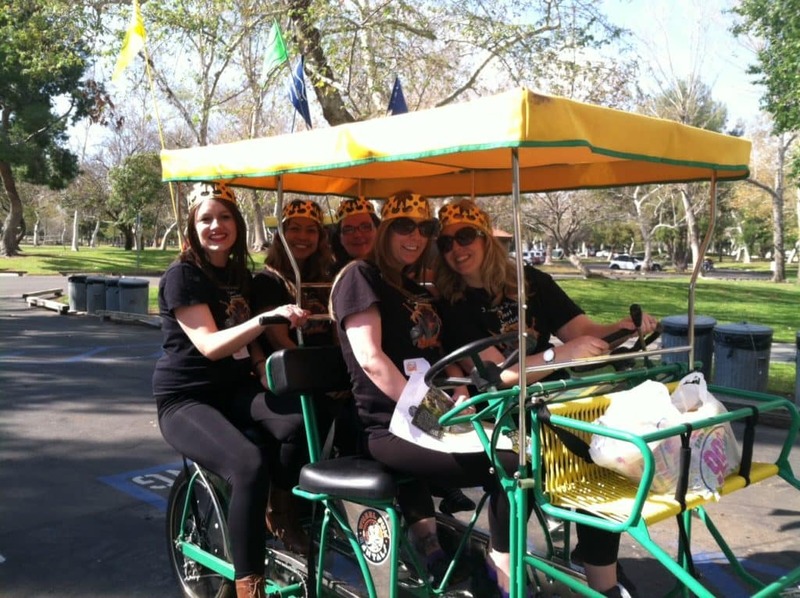 And since you'll double your pedaling power - double your cycling fun on a double date or casual group with friends! Side-by-side romance or family fun. Adjustable seating allows tall and small to pedal at the same time. Welded unibody frame construction; dual independent chain drive pedaling systems; riders 7 and above pedal up front, 6 and under in the rear facing jump seat. Ages 2 to 80. Two are better than one! 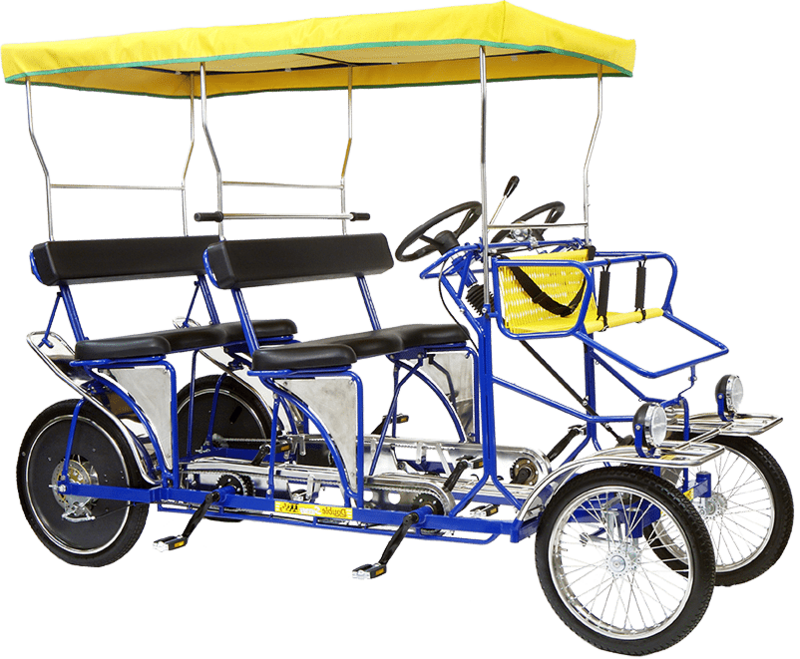 This bicycle built for two is a must for any two person expedition. This option is a great choice for couples looking for a low key way to travel together, or a great option for younger or other less experienced cyclists. You'll be able to ride all day in our helmets. 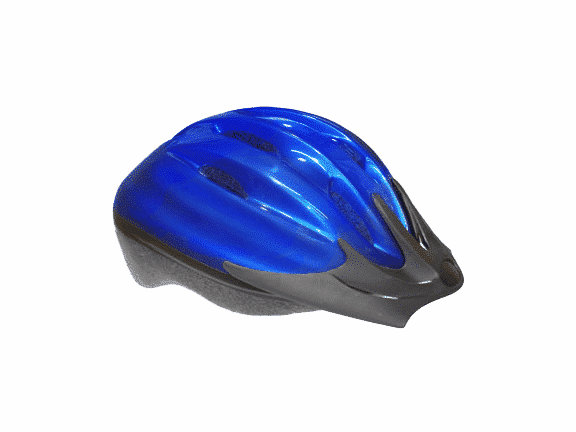 Built with the purpose to keep riders safe, these helmets are lightweight, breathable and secure. Renters must have valid government-issued photo ID and be 18 years of age or older. – After first hour all rental hours are prorated in 15-minute increments. – We do not offer refunds for weather – Rain Checks Only. You will be charged for product damaged during your rental. – Helmets and other safety equipment offered FREE. We recommend it! – All riders under 14 must wear a helmet. – Surrey driver must be at least 16 years of age and accompanied in front seat by a licensed adult. – Ride safely, use common sense, watch for others and obey all traffic laws. 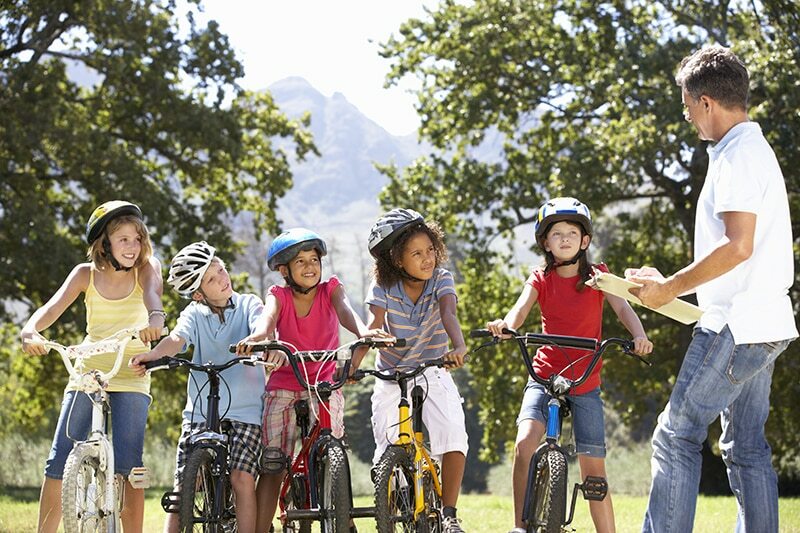 – Please be certain you receive and understand riding instructions prior to renting. Review Release of Liability Agreement for full rental terms & conditions. All equipment rented is subject to the rules of operation. Failure to obey is subject to immediate termination of rental without refund. We offer Private events and options for Teambuilding for groups from 15 to 100. We can create a memorable experience for any occasion. Perfect for birthday parties, corporate teambuilding, meetings, family reunions, social groups, or just plain fun with your friends and family.